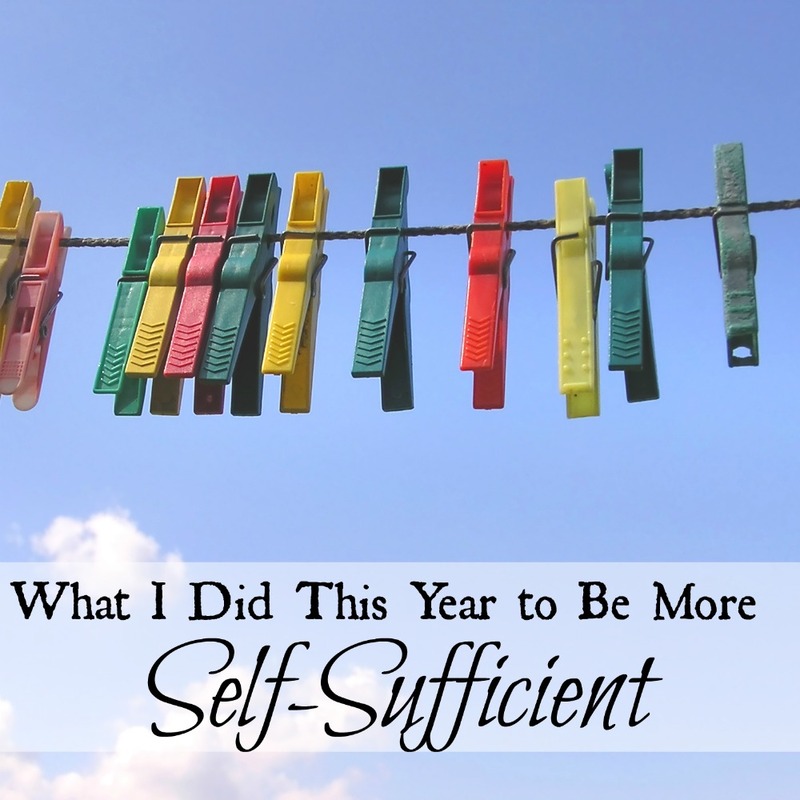 Last year I shared five things I did to be more self-sufficient. How are you doing on your goals this year? Each year as the end of the year approaches I take a look at my goals and see how I'm doing. The new year is a way off still but that gives me a little more time to work on some that I haven't finished up yet. One of my overall goals is to be more self-sufficient. There are things I want to do, acquire, and learn, and each year I choose a couple of those to work on and cross off my list. I want to be able to produce as much of our needs as we can. 1. Gardening - I've continued working on the "enlarging the garden" project. When finished, we'll have double the space we had before. I've been working on this one since last fall and I'm not quite finished yet. I've added fill to the low spot in the corner so the slope isn't as steep. I've built raised beds although I still need to fill several of them. 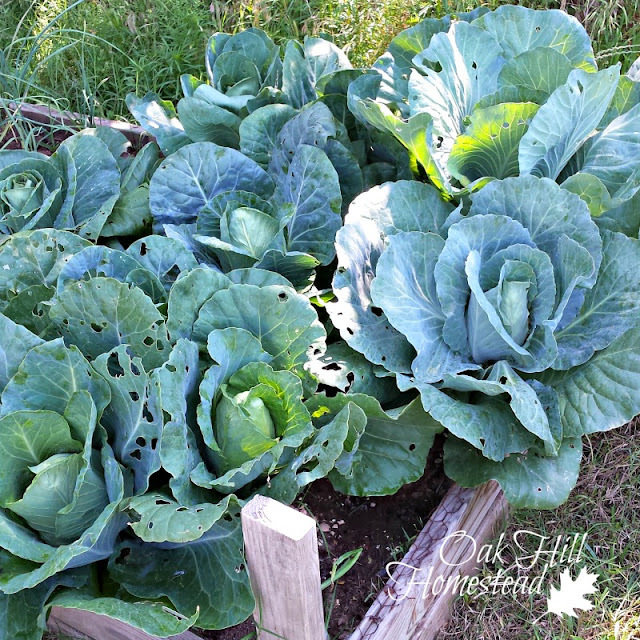 I grew squash and cabbage for the first time ever this year, and learned about squash bugs and cabbage worms. I have plans and materials for a cold frame and hope to have that finished before the end of year. 2. Learn how to use power tools - I used a power saw and drill to build the raised garden beds and the sliding door for the chicken coop, and have made some repairs where needed. 3. Learn how to save seeds. By no means am I an expert but I do have an expert friend and I'm learning all I can from her. Knowledge is something that can't be taken away from us. 4. 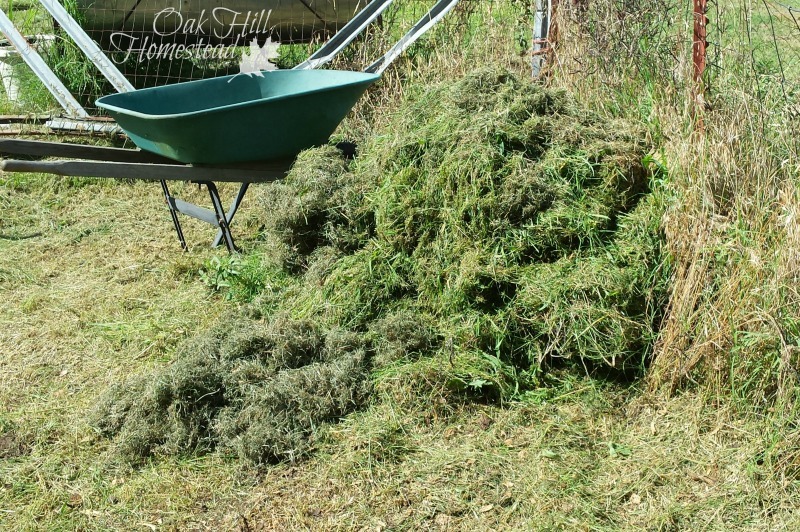 Composting - Although I've known about composting and had some basic knowledge about it - I failed miserably at a worm bin a few years ago - I have now successfully turned kitchen scraps, manure and grass clippings into garden soil. 5. Bees - I've talked about getting bees for more than a year, so this year I took a class on beekeeping, picked the brains of one of my daughter's friends in another state who has a hive, and hubby and I decided on a location for the hive. Hubby is giving me the hive and other equipment for Christmas, and I'm on a waiting list for my bees! What did you do this year or plan to do next year to become more self-sufficient? Leave a comment below and let me know. Can't say I've made much progress in these areas. We built a compost bin...actually three of them, but the gophers think it's their banquet table! I've been the carpenters helper around here for years, and can use some tools...but saws scare me! Our main goal at this point is to finish our house that we built just over four years ago, with the plan to downsize in the next few years, and hopefully be debt free....or as close as possible. Shame on those gophers. I had to fence mine off from my dogs but there's a rabbit that sneaks in. Hope you get the house finished soon, Deborah. Jamie, I had that same problem the first time! I found out that YouTube has a video for literally everything. Good for you!!! I am really terrible at even setting goals, so I admire your goal-setting and checking in before time is up! You've inspired me to set some goals actually on paper for this next year! As far as the gardening and composting---it's all a learning journey. I've been gardening for awhile, and there is SO much to keep learning and trying. It never ends, and isn't that the beauty of it? I love this reflection! I feel like we are just starting our garden, but learning to save seeds would be a great goal for next year. And to pay more attention to our compost. Thanks for sharing on the Waste Less Wednesday Blog Hop! Katy, as another reader said, "gardening is a journey." It's good to have a map so you can stop and see all the sights and learn all the things along the way! Thank you so much for sharing your goals and achievements with us at Hearth and Soul, Kathi. I found them really encouraging, and I was excited that you are going to keep bees! I will be interested to hear how you get on. It's really wonderful to become more and more self-sufficient! Thank you, April. I'm glad it was encouraging. Good for you learning to use power tools. I have always used them I think, or at least I can't remember when I didn't. I have a workshop in my barn and many power tools. 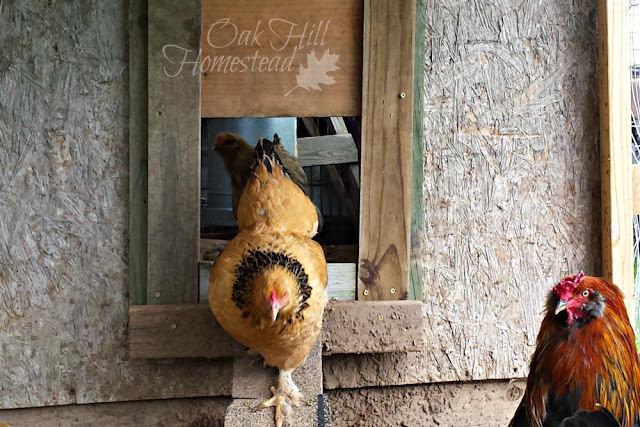 I built a new chicken coop this summer and the only assistance I needed was standing up the walls as they were too heavy for me to hold up and screw together. That was my big accomplishment this year. I also began making my own laundry detergent. I have always hung clothes on the line the majority of the time so making my own soap was something I should have been doing all along. I have a raised bed garden, with about 15 3x3 foot beds. (I built all of them a few years ago.) I harvested enough green beans to freeze several quart bags. I also have a box of sweet potatoes out in the laundry room. This was the first time I grew them and consider the experience to be a grand success. I started my slips in my kitchen window using two very small purchased potatoes and a couple of 'ends'. I still have slips in the window just because the vines are pretty. Thanks for sharing your achievements, and for encouraging me to look back I mine. By the way I am a 62 year old woman living alone with two dogs and four chickens. You've done Very Well this year, Deanna, and I am applauding your accomplishments! Good job!